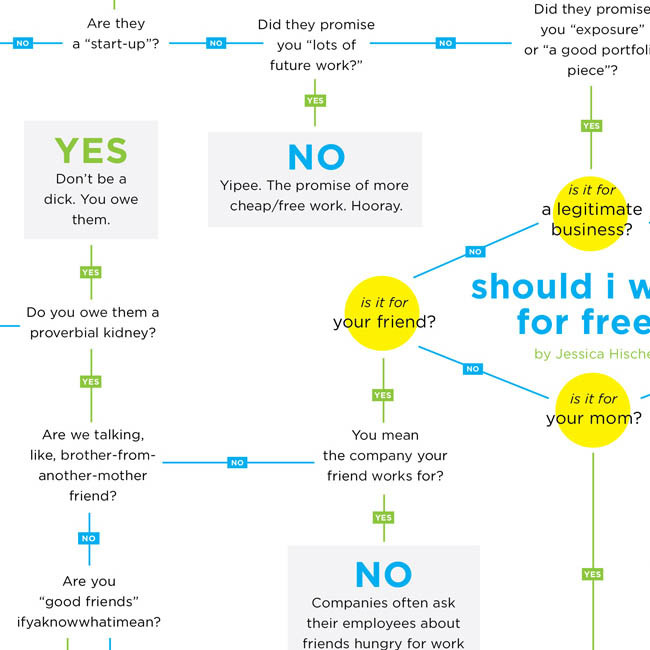 Boho Bandwagon: Should I work for free? Today I'm wondering if Jessica Hische is actually one person. She's so prolific I'm not sure how she could be. Or perhaps she really truly loves her craft so much that she can't help but come home on a Saturday night and get to work creating more beautiful, timeless typography and amazing illustrations.